Justin T. Loughry, Esq. and Lawrence W. Lin dsay, Esq. 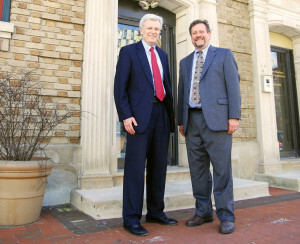 formed Loughry and Lindsay LLC in 2000. The bi-lingual (English and Spanish) law firm provides high quality, reasonably priced legal representation to individuals, small and medium sized businesses and non-profit organizations. The firm offers a wide range of legal services, with an emphasis on criminal defense, civil rights law, general civil litigation and land use law. 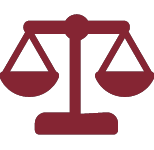 The firm practices in New Jersey and Pennsylvania state and federal courts. Each partner has over 20 years of experience in a wide variety of substantive areas. Mr. Loughry is certified by the Supreme Court of New Jersey as a Criminal Trial Attorney. Both Mr. Loughry and Mr. Lindsay are admitted to the bars of New Jersey and Pennsylvania as well as the Federal District Courts for the District of New Jersey and the Eastern District of Pennsylvania. Both are admitted to the United States Court of Appeals for the Third Circuit. Mr. Loughry is also admitted to the bar of the State of New York and Mr. Lindsay is admitted to the bar of the State of New Mexico (inactive). Both Mr. Loughry and Mr. Lindsay are fluent in English and Spanish. Leah McGarry Morris, Esq. is Of Counsel to the firm. She handles criminal defense and civil rights matters. Ms. Morris is admitted to the bars of New Jersey and Pennsylvania as well as the Federal District Courts for the District of New Jersey and the Eastern District of Pennsylvania. She is admitted to the United States Court of Appeals for the Third Circuit. • Learn more about Leah McGarry Morris. Jonathan D. Bennett, Esq. is Of Counsel to the firm. He handles corporate and transactional matters and is a specialist in risk management. Mr. Bennett is admitted to the bars of New Jersey and Pennsylvania as well as the Federal District Courts in New York, New Jersey, Pennsylvania, California and Virginia. • Learn more about Jonathan D. Bennett.